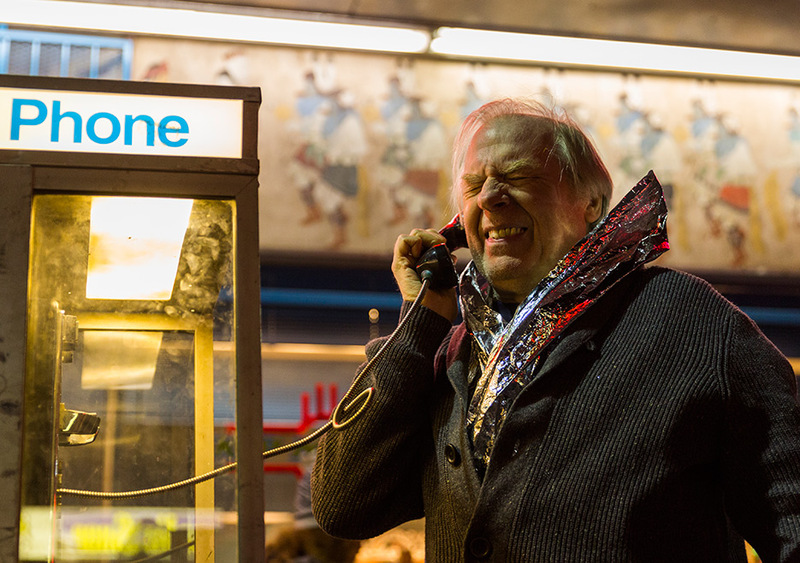 I believe “Off Brand,” the 6th episode of “Better Call Saul’s” 3rd season, was the true crossroads episode for the entire series. I know it’s bold to proclaim that considering we don’t know how long the series will go and what other directions it intends to take. But think about all the pivotal decisions major characters made last night. Nacho, whose been wanting to rid himself of his current employers since at least last season, revealed himself last night to be the man most likely responsible for Hector’s stroke. Of course, that is not a certainty. But otherwise, the show just wasted our time with a meaningless shot (and we know Gilligan wastes no scenes or shots) of a boot covering a pill on the ground. Chuck made the decision to seek help last night. Now that it looks as if Jimmy and Chuck’s rivalry is done (or at the very least will be taking a détente), the older McGill must find a new purpose or come to grips with his debilitating condition. Otherwise, I don’t see things ending well for Chuck. Instead, it was Kim who really seemed to grasp the impact of the name change. 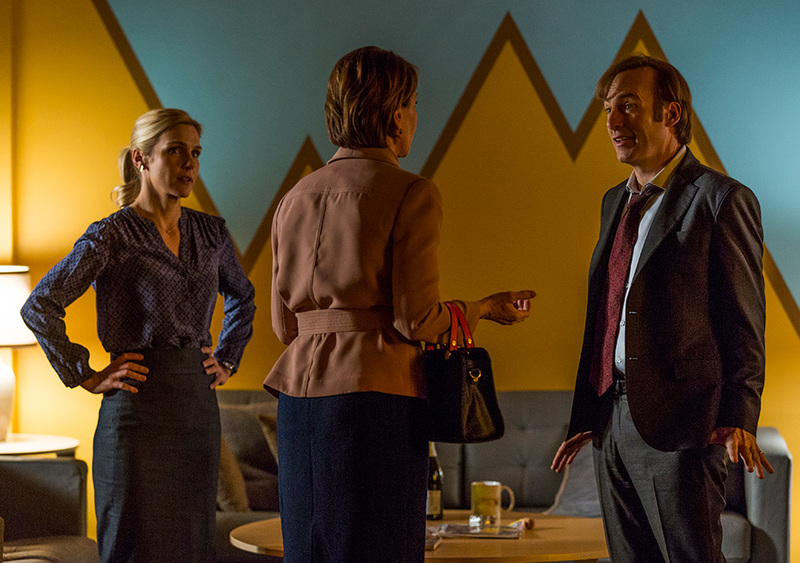 Rhea Seehorn did a wonderful job contrasting Jimmy’s aloofness with subtle concern over this character Jimmy’s playing on screen. Kim’s words, tone, and facial expressions convey clearly the concern she has with this new direction Jimmy is taking. And she clearly doesn’t like that guy on the screen, which signals a rough road ahead for these two star-crossed lovers. 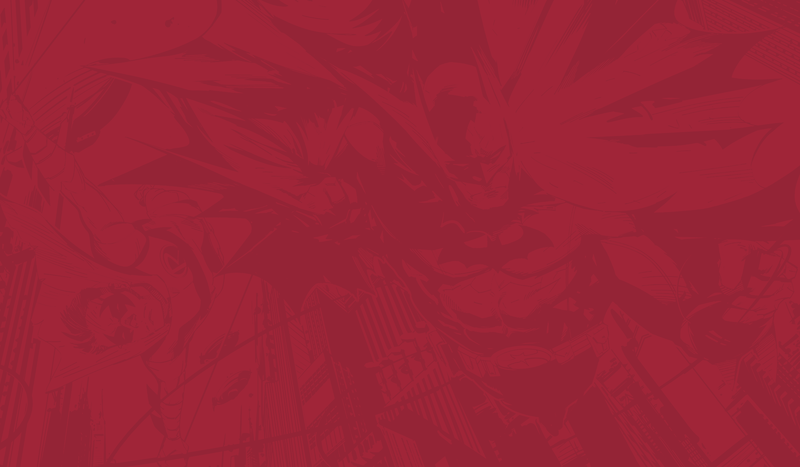 We’ll save the first appearance of Saul Goodman for last. But let’s start this week’s recap with Nacho, who after spending most of this season on the sidelines, finally stepped into the spotlight, making a key decision that will have an irreversible affect on one of the story’s central characters. Our first scene of the night takes place in the Mexican restaurant where Mike got Tuco put in jail last season. But with Tuco unavailable, Nacho must play both the roles of enforcer and voice of reason. And just like that scene in season 2, it’s Crazy 8 (the future first kill of Walter White) who’s come in to turn in money he’s earned on the street. According to Crazy 8, his new partner bailed on him. And that’s why he missed his quota. Nacho shows mercy, telling him to make up for it next week. Hector, who’s been sitting behind Nacho the whole time, let’s Nacho know very quickly that he does not approve. “Who works for who?” is all he needs to say to get Nacho out of his chair. Nacho grabs Crazy 8, drags him into the kitchen, and gives him a firm beating. Hector admonishes Nacho after he allows Crazy 8 to walk out without punishment. Later, Nacho meets with Gus’s crew to claim supply off of a Los Pollos Hermanos truck. The arrangement Gus and Hector made last week is causing tension as Nacho claims one more bar of cocaine than the amount agreed. Victor points a gun at Nacho after Nacho takes an extra bar of cocaine. We find out later that Hector did that just to f#@* with Gus. And now, he wants Nacho to get his dad’s business involved to help move supply. We’ve seen how genuine a person Nacho’s father is. And Nacho wants no part of involving his dad in the shady drug business. 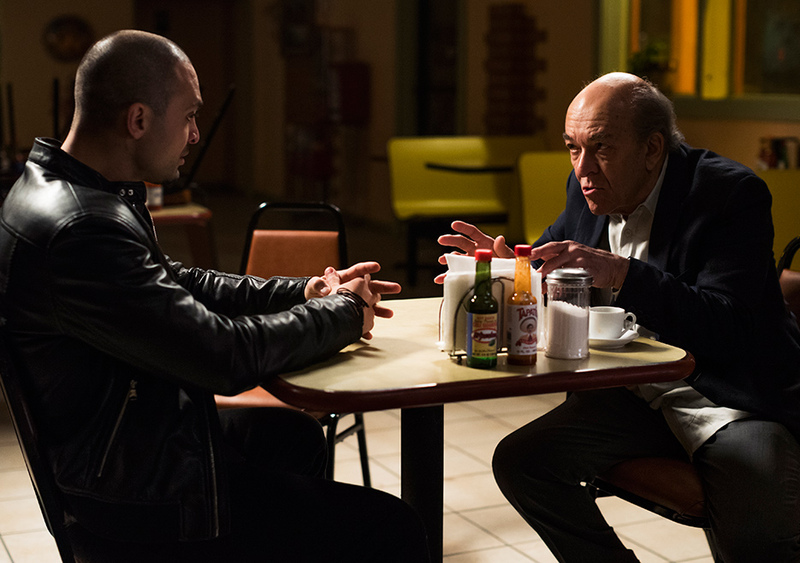 Hector meets with Nacho to discuss the use of upholstery trucks from his (Nacho’s) dad’s business to move product. But before a firm commitment can be made one way or another, one of Hector’s men comes in and informs him that Tuco knived a guy in prison. Hector’s temper comes out again. And just like we’ve previously seen, Hector needs pills to calm himself down and stop convulsing (sorry if I used the wrong medical term). But Hector’s shakes force him to drop the pills on the ground. He’s able to pick most of them back up. But Nacho, who was not happy with having a gun put to his face or the proposal to use his dad’s upholstery trucks to smuggle drugs, sees the one pill Hector did not pickup and covers it with his boot. If Chuck takes Howard’s advice, then Chuck’s importance to the show just diminished greatly. The trial is over and Jimmy avoided disbarment. 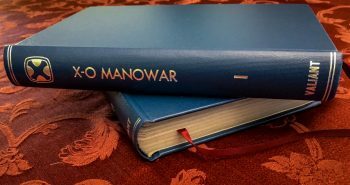 But the younger McGill cannot practice law for a year, and Howard considers that a victory. Now, he wants Chuck to move on from his brother. So if Chuck ultimately leaves Jimmy alone, then the elder McGill really doesn’t need to be around anymore. His entire role up to this point has been playing the heel to Jimmy. So if Chuck does “move on,” his show life may not last much longer after that. Jimmy and Kim are celebrating their “victory” when Rebecca comes in and interrupts the celebration. Rebecca went to Chuck’s house and knocked on the door, calling for her ex-husband to open it, but Chuck wouldn’t answer. So she implores Jimmy to help get Chuck to open up. But Rebecca doesn’t understand just how bad the relationship between the two brothers has deteriorated. Jimmy refuses, then Kim’s prediction from last week (“She’ll hate you forever for this”) is fulfilled as Rebecca storms out, telling Jimmy that Chuck was right about him all along. Rebecca pleads with Jimmy to help Chuck as Kim looks on. But after the celebration comes the reality that Jimmy must now tell all his clients that he cannot be their lawyer for a year. And how will him and Kim keep up payments for their office without Jimmy making any income? The change in name we’ve all been waiting for started with the realization that Jimmy had an ad yet to air on TV. What good would it have done to call his hundreds of clients and suspend service only to have a commercial air, bringing in more calls that must be rejected? After calling the network and cancelling the ad, Jimmy realizes that he still has nine ad spots previously purchased. He can’t sell the time to someone else and he won’t be refunded the $4000 he’s paid for the ad time. So Jimmy thinks of a solution: sell his skills making commercials and air the ads in the space he’s bought. While this is a good long-term solution, Jimmy has a short-term problem with a space he needs filled in two and a half hours. Since he can’t convince anyone to pay for such a quick turnaround, Jimmy takes the advice of his make-up girl (who seems worth way more than the two camera guys) and shoots a quick ad for his new temporary business. But how can “Gimme Jimmy” just air a new ad with a new profession? Jimmy McGill has already been branded a lawyer. If only there was some random name Jimmy could possibly pull from the title of the show to give his new business the branding it needs. Jimmy puts on a wig, mustache, and a goofy jacket. He speeds up the tempo delivering his lines and “Saul Goodman Productions” is born. But as I mentioned earlier, only Kim seems to understand the ramifications of what just happened. -Did anybody else want to send the contact information for “Saul Goodman Productions” to the local businesses in your area that make the worst commercials? -So in a year, will Jimmy’s clients go back to him? Will they even be alive in a year? -It also had to bum Jimmy out a bit when the last guy he called was an actual former B29 pilot. He could’ve made that first commercial without all the security risk of sneaking fudge onto the military base. -I think we all felt more pain than Nacho did as we watched that sewing machine cut into his hand. -Nice touch with Jimmy celebrating his “victory” in court while drinking from a “Davis and Mane” mug. -So Gus has been a part of 4 episodes so far and he’s already purchasing the warehouse that Walt will mass produce meth in? -Nice cameo for Lydia, the international drug contact for Gus and, in the future, Walt. It might be the only scene we’ve seen of her without her trademark tea. Lydia makes her first appearance tonight, showing Gus a factory that is for sale. 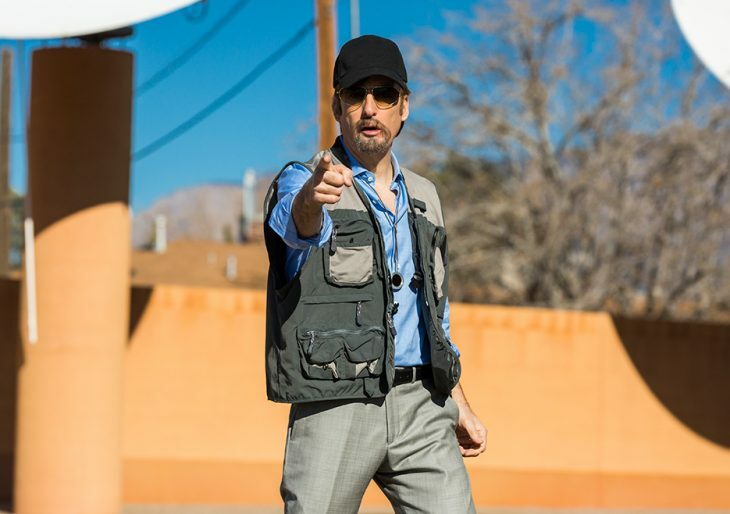 -Along with Crazy 8, Victor made his 2nd appearance in “Better Call Saul,” pointing a gun at Nacho after he took a little more cocaine than he should have. 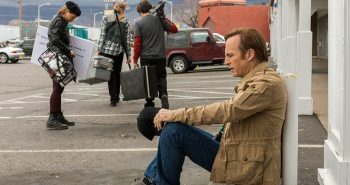 It’s hard to believe that only four episodes remain in “Better Call Saul’s” 3rd season. See you next week. 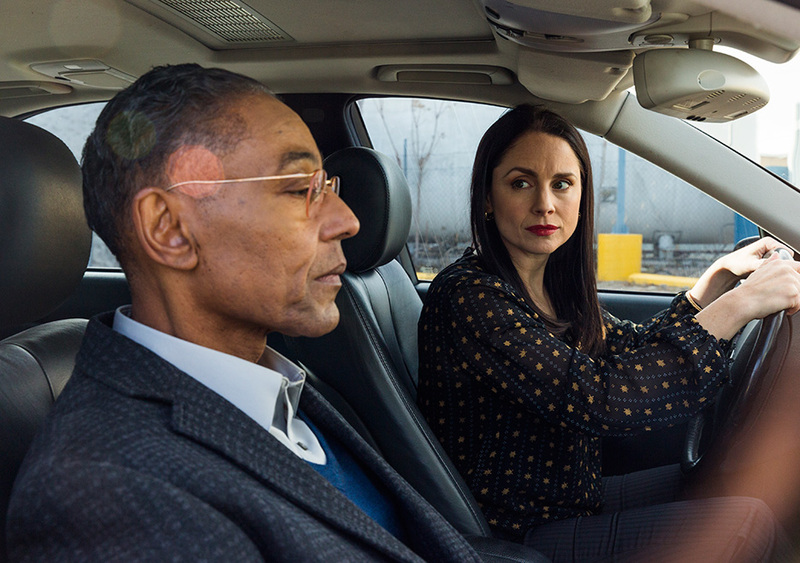 Gus buys the wearhouse Lydia appears in Better Call Saul Nacho Paralyzes Hector Saul Goodman for the first time Saul Goodman Productions What does Kim think of Saul Goodman?